At Eastport holiday resort, the Shores run a deckchair hire business – with the younger daughter Sally doing all the work. Sally is the family drudge, mistreated and unloved by her father and her elder sister Dora. Although Dad metes out the abuse, Dora is the one at the root of it. She is a glamour puss who looks on Sally a nobody who is only fit to be the source of money that pays for her luxuries (posh clothes, ritzy social life, hobnobbing with the upper class etc). She is too lazy to lift a finger to pay for it herself – or do any work around the place, for that matter. In Sally’s words: “She gets all the gravy and I do all the donkey work.” The donkey work to pay for all the gravy. Dora has Dad wrapped around her little finger and he does everything she tells him, including lumber Sally and hit her when she tries to speak out. For example, when Dad briefly protests against having Sally work nights in his new arcade in addition to the day work she does with the deck chairs, Dora tells him not to be so soft and it will make even more money. If she were his wife instead of his daughter, he would be the henpecked husband. In any case, like Dora, Dad has ambitions of making more money, rising to bigger things, and becoming somebody in this town. So Sally is now forced to work nights at Dad’s new arcade as well as days as deckchair attendant. Her only friend is Mr Cliff, who runs the donkey rides. As with other girls in similar serials, Sally has a talent to help keep her spirits up. In Sally’s case it is making ornaments and jewellery out of seashells. She tries to keep it a secret from her abusive family and find ways to fit it around all the drudgery. She hopes to make a living out of it in time and be able to leave her horrible home life. When Dora spots a new craft shop, “Nick Nacks”, she realises it could be the place to sell her wares. The owner, Miss Hanning, agrees to take a look at Sally’s shell-craft. This does not please the shop assistant Edwina, a snooty, unpleasant type who looks on Sally as a scruff. Unfortunately it is at this point that Dad and Dora discover Sally’s shell-craft and smash it to pieces. Fortunately, people, including Mr Cliff, rally around to provide Sally with more shells. Sally uses them to make a sample for Miss Hanning. She is impressed and wants more for the shop. Meanwhile, Dad tricks Mr Cliff into signing a contract that hands his donkey business over to him. Mr Cliff wrongly assumes that Sally was in on the plot to cheat him when in fact Dad and Dora took advantage of their friendship. Really, it’s his own fault for signing the contract without reading it first because he foolishly extended his trust of Sally to her family. As it is, Sally has now lost her only friend. On the bright side, Sally discovers a secret cove that is crammed full of shells, which is a real treasure trove for her. Sally’s shell-craft starts selling at Nick Nacks, and it’s doing well. Sally takes the money from it to Mr Cliff to start a fund to buy his business back. This convinces him he misjudged Sally and they are friends again. Unfortunately Dora soon discovers what Sally is doing with her shell-craft, and naturally wants to take advantage of it. She pretends to be nice to Sally in order to get Sally to make shell-craft for her, but Sally still wants to sell her shell-craft at Nick Nacks. Discovering Edwina’s dislike of Sally, Dora recruits her help in forging a letter from Miss Hanning that she is terminating her business with Sally. 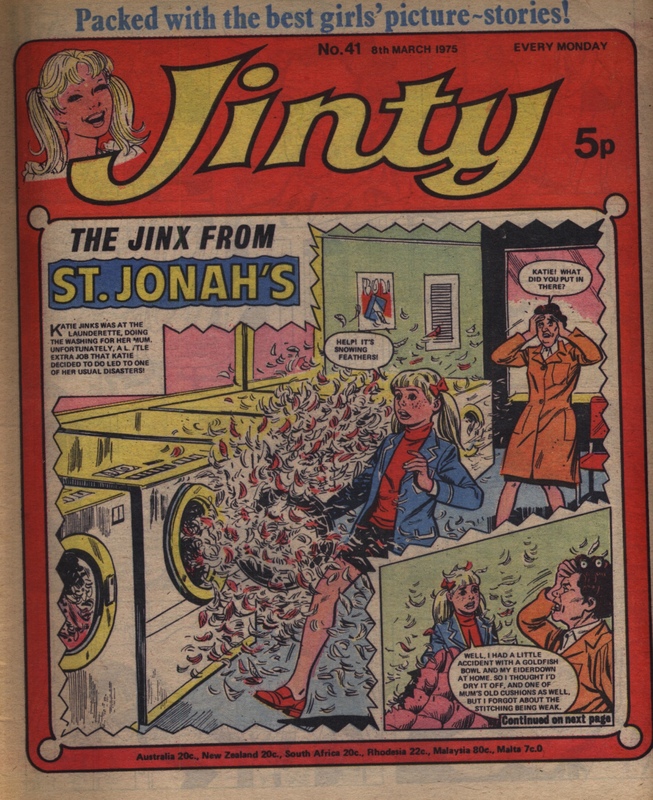 Sally falls for the trick while Miss Hanning thinks Sally has played her for a fool when she sees the Shores selling Sally’s shell-craft at a stall opposite her shop and stealing business from her. Sally soon realises that Dora is only out make money out of her shells. Indeed, Dora and Dad have seized upon Sally’s shell-craft as the means to fulfil their ambitions to make their mark on the town. 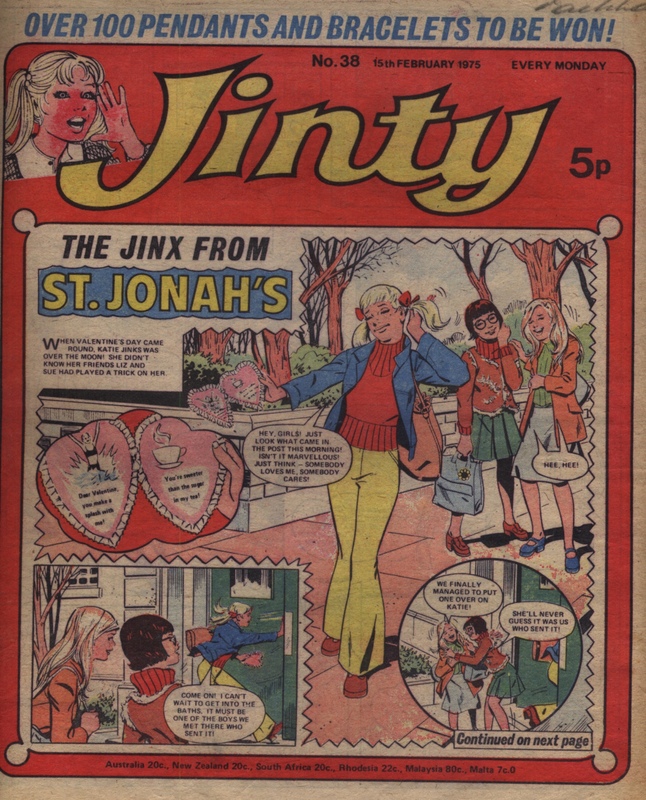 It isn’t long before Sally discovers the letter trick either (later still, she discovers Edwina’s role in it). And she finds out something else – Dad and Dora mean to buy out Miss Hanning’s shop. It’ll be easy pickings because she’s losing business because of the stall and, being asthmatic, her health is deteriorating because of it. In fact, she collapses altogether and is put in hospital. Sally tries to warn Miss Hanning, but two thugs that Dad and Dora have hired stop her. Dad takes advantage of Miss Hanning’s weakened condition to have her sign her shop over to him. And Miss Hanning still thinks Sally is to blame for her troubles. Miss Hanning is put in a convalescent home and Sally has no idea where, so she can’t straighten things out with Miss Hanning. Dad and Dora now keep Sally a prisoner in a squalid room, making shell-craft for them at a sweatshop pace. They even force her to work around the clock if necessary. The two thugs are her guards and the Shores plunder Sally’s secret cove for shells. Nick Nacks now reopens as “The Shell Shop”, a shop exclusive to Sally’s shell-craft. To add insult to injury, Sally discovers that Dora is stealing the credit for the shell-craft. And of course the exploitation is crushing Sally’s talent and making her lose her enthusiasm for it. Mr Cliff assures Sally that the greed of her father and sister will catch up to them, and indeed it had started even before he said it. The new flush of money has Dora really going to town on buying extremely expensive items for her to show off in Eastport. Dad blanches at the bills rolling in for Dora’s new mink coat, valuable jewellery and the like. But Dora won’t listen to Dad’s protests that not even Sally’s shell-craft can make that kind of money and she will drive them into debt and bankruptcy at this rate. Sally tries to make a run for it, but the thugs come after her. They set a pile of deck chairs on her with such force that her hands are all but crushed. Seeing this, Dora sacks the thugs. But she forces Sally to carry on with her shell-craft regardless of her damaged hands, although of course Sally’s hands are too now totally unfit for that. Meanwhile, Edwina realises the Shores just used her, and now they have what they want from her they shove her out the door, without a job. She is annoyed that the “scruff” is still around; she had thought the purpose of the letter was to help achieve her desire to get rid of the “scruff”. She gets revenge by going to the convalescent home and setting the record straight with Miss Hanning herself (without confessing her role in it) and informing her that the Shores are abusing Sally. Although Miss Hanning has not fully recovered, she bravely returns to check things out. When Miss Hanning shows up on the Shores’ doorstep, Dad quickly takes Sally out of the way to get more shells – but not before Sally leaves a message in shells saying “Help” for Miss Hanning to find. When Miss Hanning does, and sees the room Sally has been forced to work in, she becomes even more convinced the Shores are mistreating Sally. Dora shoves her out the door. Miss Hanning heads for the cove, and soon finds Dad, Sally and Mr Cliff. Sally’s injured hands tell her all she needs to know, and Mr Cliff says he can act as a witness. Miss Hanning threatens Dad with the law for stealing shells from her privately owned cove (probably a bluff there!) unless he stops abusing Sally. The threat of the police scares him into agreeing to her demands. Without Sally bringing in the money, and what with Dora’s bills defeating the whole point of the exercise anyway, Dad is obliged to sell the arcade and shop to avoid bankruptcy. This enables Miss Hanning to get her shop back. Sally gets a rather mealy-mouthed apology from Dad, who says: “It was your sister’s fault – she made me.” Yeah, like Dora actually forced him to constantly hit Sally, make her a drudge, and exploit her talent sweatshop-style. A few days later, it’s back to square one with the deck-chair business for Dad. He blames Dora’s greed and has her working as the deckchair assistant now, although she finds it a great comedown: “Well you can bloomin’ well help me for once.” Well, at least Dad has finally found some backbone in how he handles Dora. Sally’s hands are on the mend. She is eager to resume her shell-craft, and the first thing she wants to do with it is help Mr Cliff buy back his donkey business. “Sally in a Shell” was one of the last Tammy stories to use the Cinderella theme, which had abounded in Tammy since her early days. From the mid-1970s onwards the Cinderella theme faded from Tammy, never to return. The exception was Bella Barlow, as her Cinderella story made her a regular character in Tammy. The reasons for making Sally a drudge are better defined than some Cinderella serials. It’s all to indulge and pay for the high life her sister Dora wants to lead. Moreover, Dad and Dora have big plans to rise above the deckchair hire business and make themselves big in their hometown, and are ready to pounce on the first opportunity they see in order to get it. And it just happens to be Sally’s talent. Dora’s domineering personality and control of her weak father makes it easy for her to exploit Sally in the name of her indulgences. She is totally ruthless about how she treats her own sister and there is nothing she won’t stoop to in order to wring every penny she can out of Sally’s labour. Although Dora dominates her father, it’s clear that he is every bit as bad as she is. He won’t hesitate to play dirty to raise money; he’s got no scruples, for example, about the way he cheats Mr Cliff out of his business. The only difference is that he is weak while Dora is strong. He caves into her all the time and does not stand up to her. Even when Dora is running up bills they can’t possibly afford, he pretty much caves in to it despite his protests. It’s the way he belatedly stands up to Dora in the end and demands she help him with the deckchair business that redeems him somewhat. Certainly more so than that feeble and unconvincing apology he gives Sally in the final episode. Compounding the problem is the absence of Mrs Shore. Although there is no way of telling what role she would have played in the story had she been around, her absence is clearly a factor in the abuse Dora and Dad inflict on Sally. Miss Hanning is the nearest thing Sally has to a loving mother figure in the story. Another problem with Sally is that in the early episodes she can be easily duped by her sneaky family when she should have been more wary, and this helps to trap her in her predicament. When she receives the phony letter from Miss Hanning she can’t understand the reason for it at all, but believes it must be true. She does not take it to Miss Hanning and ask, “Please, Miss Hanning, what’s the meaning of this?”, which would have exposed the trick immediately. When Dora suddenly comes all over nice to Sally she is taken in and not at all suspicious although she has seen them pull phony niceness before. Doesn’t she remember them doing that with Mr Cliff in order to trick him into signing away his business to them? Nope. Sally is even fooled by Dora’s assurances that she will speak to Dad about giving Mr Cliff his donkeys back, and she hopes the money from the stall will go towards that. Sally does not realise the truth until it slaps her right in the face – with Dora taking all the money she raised from the stall right off her and pocketing it. Sally’s talent becomes a double-edged sword for her. Her talent for shell-craft, which she hoped would help her escape her drudgery, traps her in even worse drudgery once her abusive father and sister discover the profit they can make from it. What’s more, they can do so at extremely low cost, which would inflate their profits even more. After all, the shells themselves are free, and easy to obtain in a seaside town. It’s ironic that Dora and Dad are the ones who unwittingly set in motion the events that unravel everything, rather than Sally succeeding in running off and getting help. The first is their double-cross of Edwina, who takes revenge by recalling the only person who can help Sally and bring the story to its resolution. The second is those thugs they hired; the heavies go too far with Sally and damage her hands, which just about kills the goose that lays the golden eggs for Dora and Dad. The final factor is Dora herself – her vanity goes to her head and she runs up crippling debts on indulgences that would have ultimately destroyed the very enterprise they had built out of Sally. So Sally’s rescuer got there first and forced them to give it up, but it would have been interesting to see just how far they would have gone in destroying themselves. Let’s hope they emerged from it all with a bad reputation in Eastport.